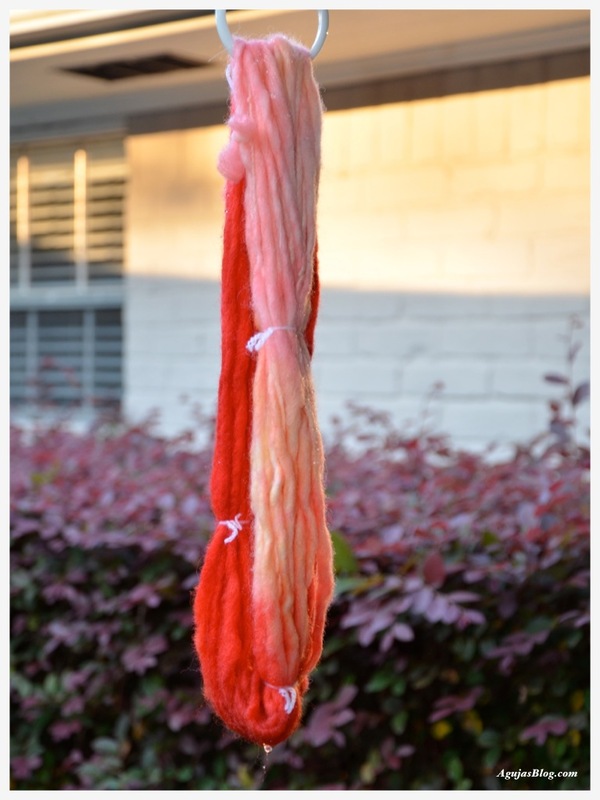 A chronicle of my first adventures in dyeing my hand-spun yarn. NOTE: This flavor Kool-Aid dyes a very strong, vibrant color. 1 packet may have been sufficient. Step 1 – Gently wash your yarn in warm sudsy water. Do not agitate. Soak for 30 minutes. Step 2 – Gather your equipment – crock pot, gloves, plastic utensil, Kool-Aid packets – and prep the color by stirring in Kool-Aid packets into the water. 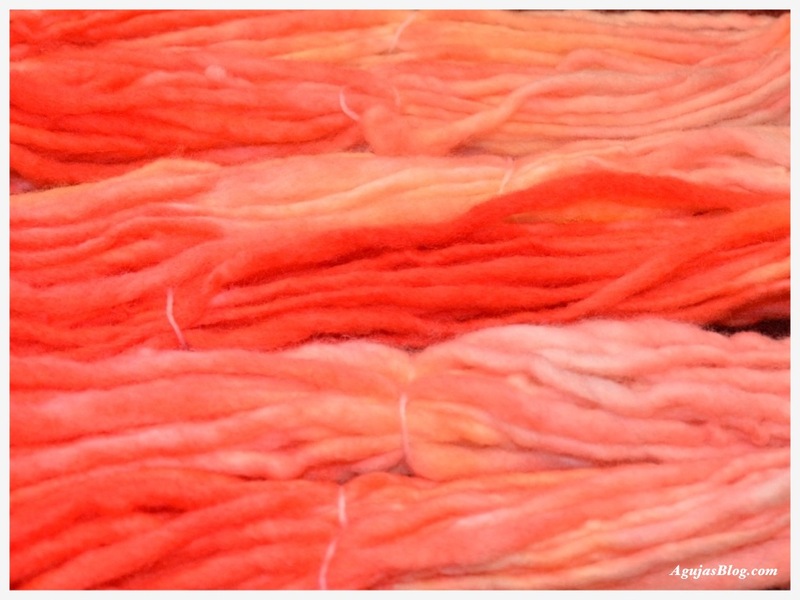 Step 3 – Rinse yarn gently of all the soap and drop the yarn in the colored water. Make sure there is enough water to cover the yarn. Patiently allow the water to just reach boiling point. (If using a crock pot as I did, you will need a lot of patience). Allow to simmer for 30 minutes. Step 4 – Remove pot from heat and allow to cool. Add more patience. Once cooled, rinse in same temperature water. Gently squeeze out excess water – do not wring. 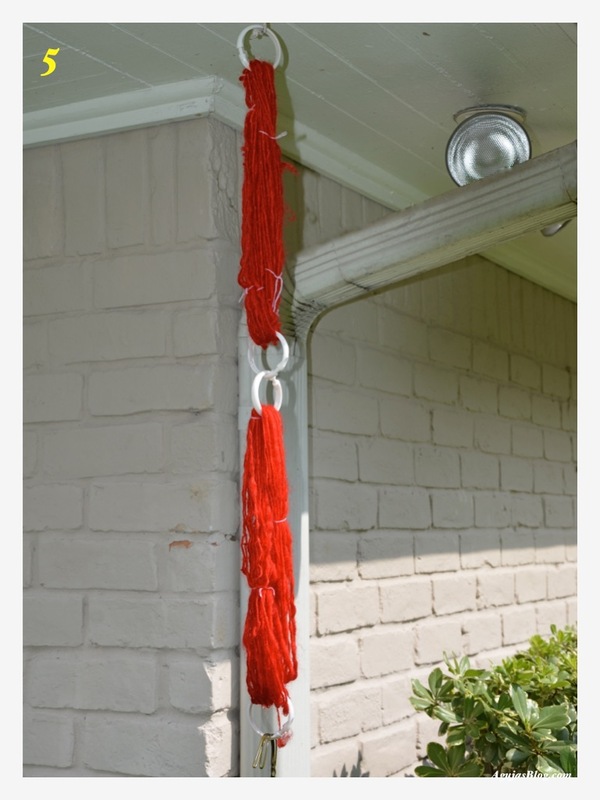 Step 5 – Hang to dry. I used these 99¢ plastic shower hooks from which to hang the yarn. This was to avoid getting rust on the yarn from the plant hooks outside. Step 6 – Once dry, wrap your hank of yarn. Step back and admire your work. NOTE: Add more Lemonade and Pink Lemonade if you prefer stronger yellows and pinks. To get more of the orange, allow a slight mixing of the Blastin’ Berry Cherry and Lemonade. 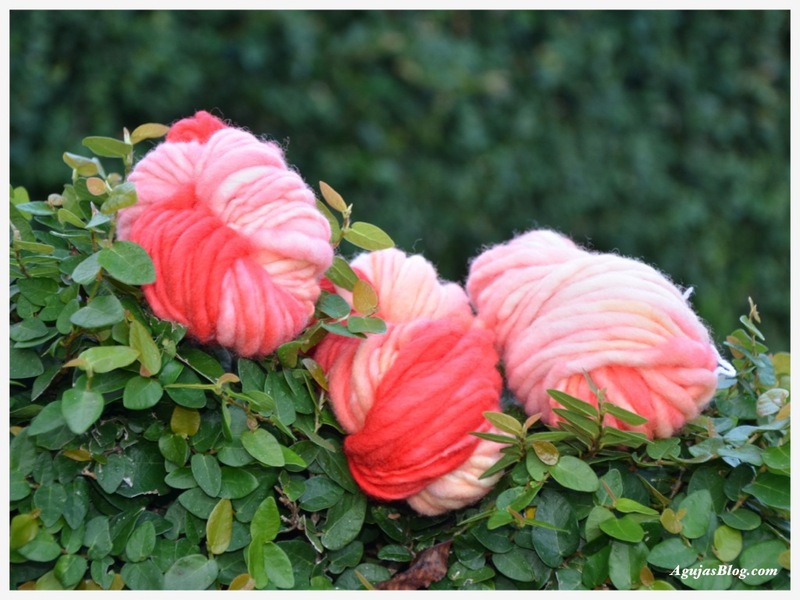 Steps 1 & 2 – Repeat as for solid color dyeing. Step 3 – Place yarn in warm water. Dissolve same color Kool-Aid in a small amount of water and pour on each side of the container. Do not stir or agitate the water in order to keep the colors separate. I poured the Blastin’ Berry Cherry on one end, the Pink Lemonade on the opposite end, and the Lemonade in the middle. 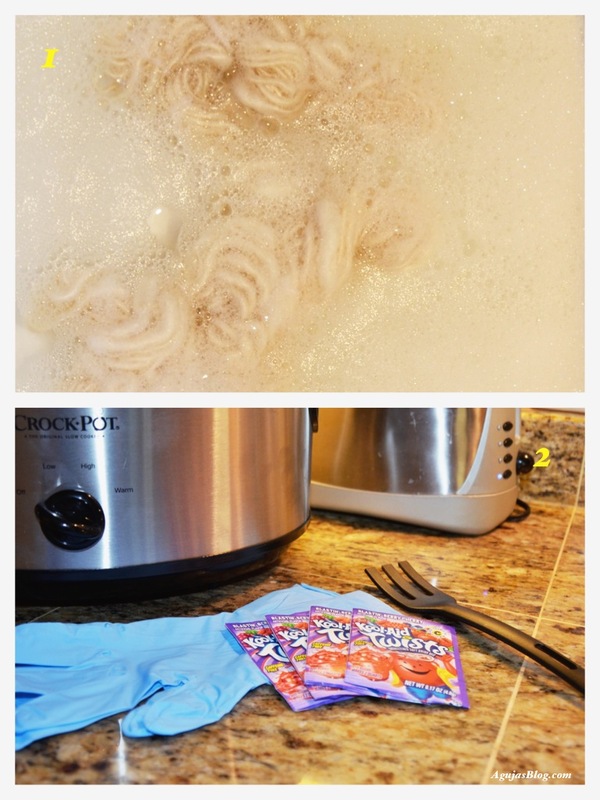 Step 4 – Repeat as for solid color dyeing. This is what mine looked like out of the water. 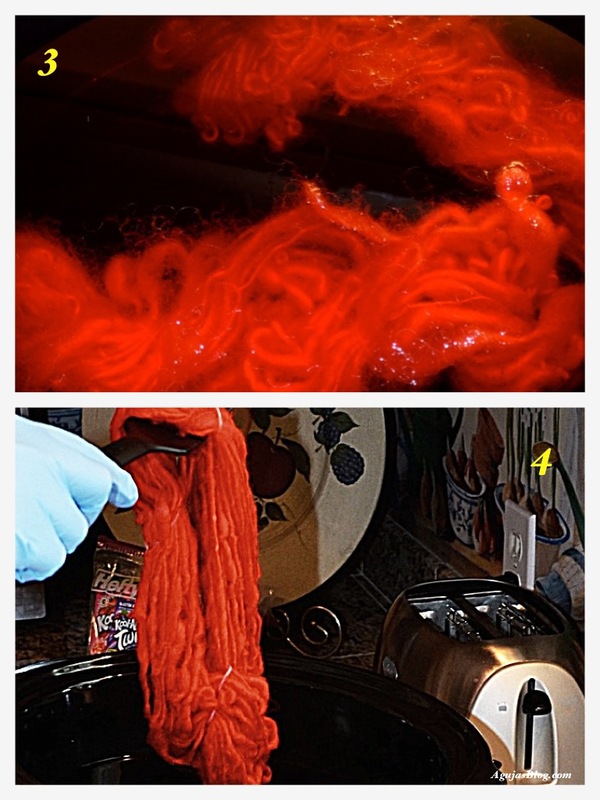 Step 5 – Repeat as for solid color dyeing. Step 6 – Repeat as for solid color dyeing. 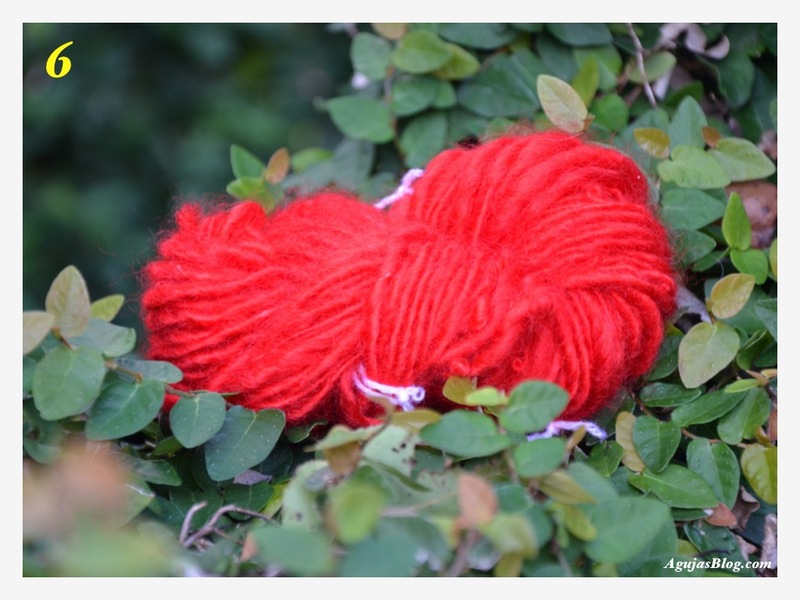 Out of the dozens I read or watched on YouTube, I found these two how-to articles to be straightforward and helpful: Dyeing Wool with Kool-Aid – Immersion Method and Dyed in the Wool.